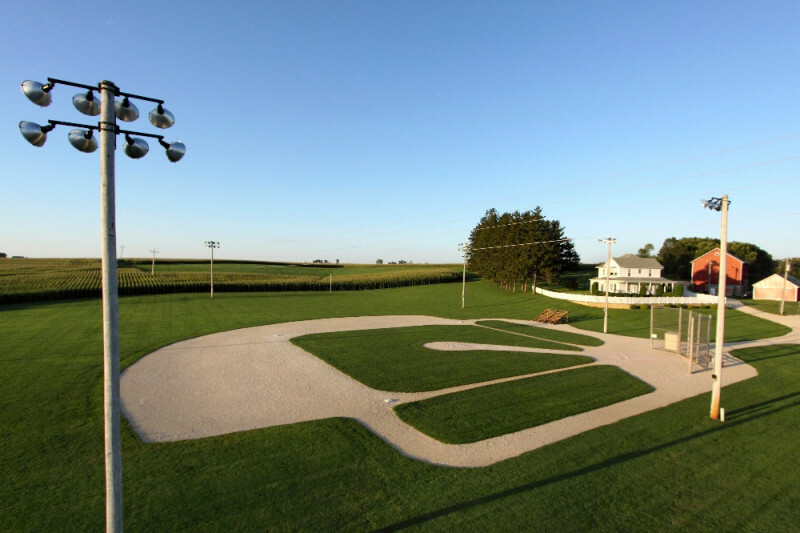 Did you know that the Field of Dreams farm home and baseball field still exists? It’s a popular tourist destination in Dyersville, Iowa that many continue to visit because of the 1989 movie starring Kevin Costner as Ray Kinsella who hears voices which cause him to build a baseball field in the middle of his corn fields. The two-story farm-house with white picket fence is a vision of true Americana against the backdrop of the surrounding shoulder height corn fields. It could be the backdrop for a Norman Rockwell painting. The website for the movie site states they’ve had well over a million visitors in the 23 years following the filming of the movie. It’s free to visit. (https://fieldofdreamsmoviesite.com/) The famous line, “If you build it they will come” turned out to be true for the Lansing Family Farm. The Field of Dreams was vandalized January by 20 year-old Austin Pape who drove his truck on to the field destroying parts of the infield and the pitchers mound. Pape was charged was charged with second-degree criminal mischief and reckless driving. His reckless driving left deep ruts throughout the fields playing surface. How do you repair a damaged field of one of the most beloved ballparks in America? The farm owner Denise Stillman set up a GoFundMe page in an effort to raise $15,000 for repairs. Her goal was reached within 3 days with the Chicago Cubs chipping in a $10,000 donation. Currently their GoFundMe page they had $20, 826 dollars in donations surpassing their $15,000 fundraising goal. When Minor League Baseball headquartered in Tampa, Florida heard the story they summoned their local teams to help rebuild it. The Minor League Clubs that helped were the Triple-A Iowa Cubs, the Class A Midwest League’s Cedar Rapids Kernels, Clinton Lumber Kings and Quad Cities River Bandits. Volunteers and Minor League groundskeepers also helped out with the repairs. Bush Sports Turf company owned by Steve Bush provided most of the equipment needed to rebuild the field.